British born Cape Town resident Kate Crane Briggs, operates a unique business called ‘Culture Connect SA’ facilitating art experiences, curating events and offering unique tours either on an exclusive basis for local residents and visitors to Cape Town, or other themed tours and events, open to public participation. Additionally with her extensive experience locally and abroad, she is a highly skilled fundraising consultant and mentor. 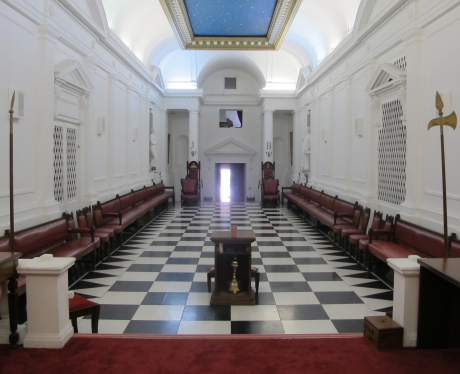 Last month included a tour entitled ‘Superior Interiors’, led by attorney and senior mason John Smith, of the Provincial Grand Lodge (Lodge De Goede Hoop’) including viewing of notable Anton Anreith sculptures, coupled with a tour of the historic Gardens Shul nearby, led by chairman Solly Berger of these stunning interiors. August sees a visit to the memorable exhibition ‘Design & Making’ at The Castle of Good Hope, where the guide will be curatorial contributor and project manager Marjorie Naidoo of Cape Craft & Design Institute, with a chance too of viewing the award winning show ‘Fired’ by Iziko curator Esther Esmyol. ‘Culture Connect SA’ is a welcome addition to the Cape, a reminder of the powerful role of culture in our lives. Kate sees as her vision, that in creating enjoyable and educational cultural experiences, one encourages the support for art and education, help to build appreciation and knowledge of different cultures, often underplayed in South Africa and indeed other parts of the world. There is no doubt that even those who visit this region regularly, will ‘see it in a new light’ by aiding and assisting the cultivation of beneficial relationships and connections.